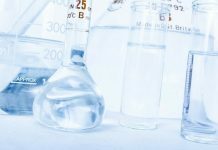 Brussels –“We believe that sensor-based sorting technologies hold a key to enabling circular economy for plastics, providing high-grade sorting and boosting recycling quality and yield. Aside from the technical progress made during the Polymark project, we have seen how the entire value chain has embraced marker-based sorting as a crucial next step in improving plastics recycling“, explained An Vossen from EPRO in an introduction video of the Polymark project. 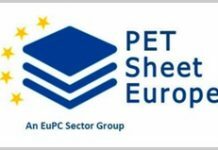 The video premiered at a workshop & training in Brussels on 15th March, Petcore Europe and the European Federation of Bottled Waters – on behalf of the Polymark consortium – had invited to. More than 80 experts from the PET value chain, brand owners and researchers gained an insight into this European project that has developed a new technology enabling the identification and sorting of polymers, focusing on PET as a start, in the high-value plastics waste stream.After the presentation of the Polymark project video, which premiered during the workshop, three technical presentations explained the project development and achievements. Finally, Hans Eder, Head of R&D at Sesotec, explained the development and functionality of the Polymark industrial scale sorting system. Its marker detection setup is built from two basic units: a high energy UV light unit for excitation of the marker and a highly sensitive camera to detect the weak fluorescence signals emitted from the marker. This Polymark sorting machine is able to achieve an output purity of 98 percent on the major input fraction. After the presentations, participants – physically present in the workshop or having joined via webinar – raised a number of questions and comments. 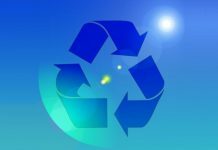 Regarding the question if this project will be further developed commercially and also potentially translate into EU policy, Casper van den Dungen, Vice-President of the Plastics Recyclers Europe (PRE), stated that the Polymark project is providing a first platform for the industry to communicate on tracer technologies. The recyclers are now encouraging Europe to harmonise and standardise the use of such innovative sorting solutions. It is important to keep in mind that there are still a number of barriers, and further discussions are needed amongst all interested stakeholders. „However, Polymark marks a starting point and gives a certainty that such innovation is possible“, he concluded. All training presentations as well as further information are publically available on the Polymark website. The beforementioned video can be looked at under youtube.com.